A luxurious accessory for a well-appointed desk. 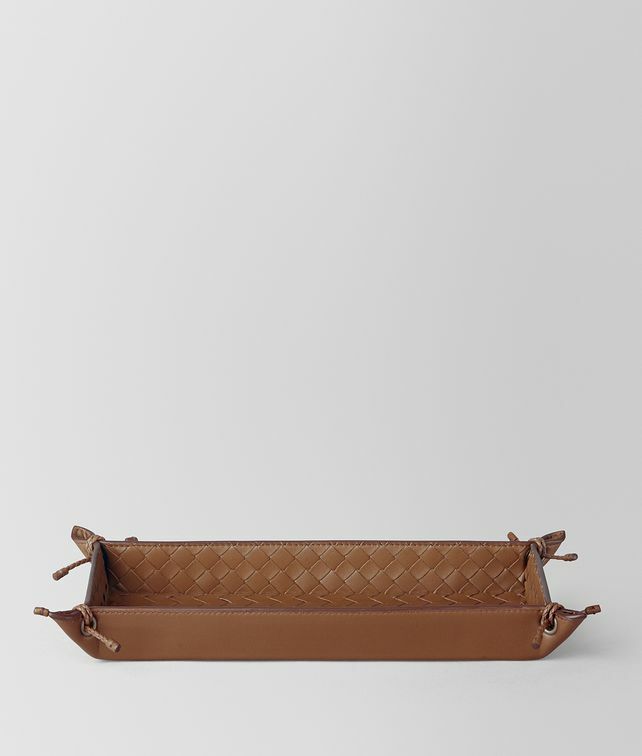 This pen tray is hand-woven from soft nappa and features a smooth leather base. The corners are accented with metal eyelets and intrecciato ribbons. Depth: 11 cm | 4.3"